As nearly the only ones in the entire Gdańsk and Tri-City, we have a cosy, atmospheric screening room which still remembers the prosperity times of studio cinemas in Poland. 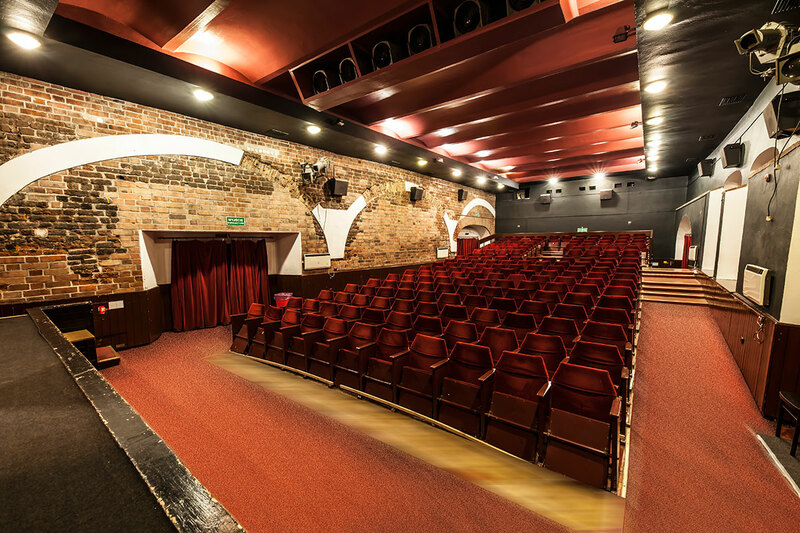 Our cinema offers 175 comfortable seats, where the audience can conveniently enjoy the best films. We combine tradition and modernity: this is why the room is equipped with a Dolby Surround sound system. 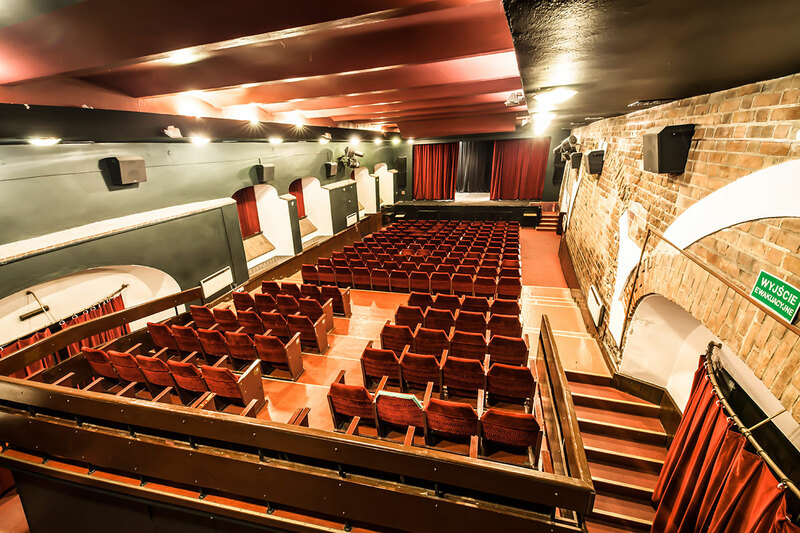 Additionally, as part of rental of screening rooms, we can turn our stage into a place where theatre performances, set theatre performances and cabarets are played, as well as other numerous cultural or occasional events. The room also serves as a conference room, which has already more than once hosted popular political party groups, authorities of educational institutions and others. We offer rental of the screening rooms on preferential terms. We direct our invitation to cooperate to all those who wish to organise a performance, a film show, a conference or other events in Gdańsk.